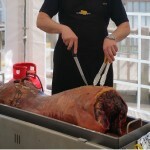 Southlakeland Leisure Park Hog Roast, Borwick. 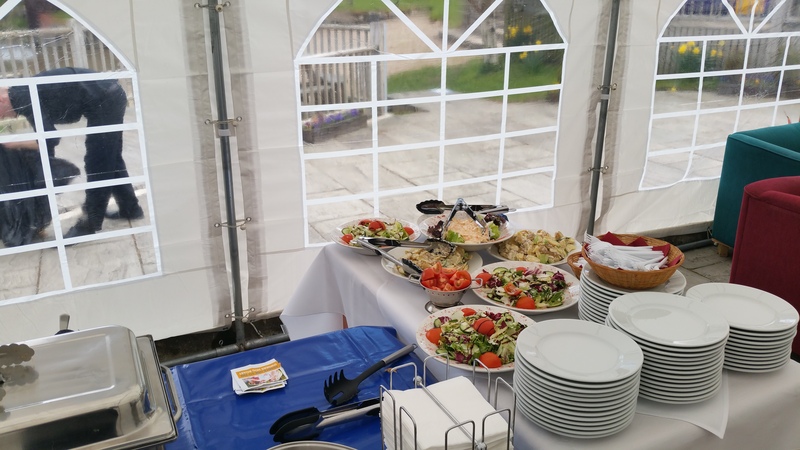 Saturday the 30th April 2016 saw the Spitting Pig Northern UK team back at the picturesque Holiday Village for a repeat booking from last years May Bank Holiday – unfortunately we could not replicate last years beautiful sunny weather but we did replicate the succulent Hog Roast Borwick accompanied with an array of freshly prepared salads – the event was held as a thank you to the lodge owners and to also welcome new and potential owners – the stunning luxurious log cabins are set around a freshwater lake on this 43 acre holiday village which despite being a 5 minute journey from the M6 motorway junction you could be forgiven for thinking you were in a remote secluded location hours from civilization. 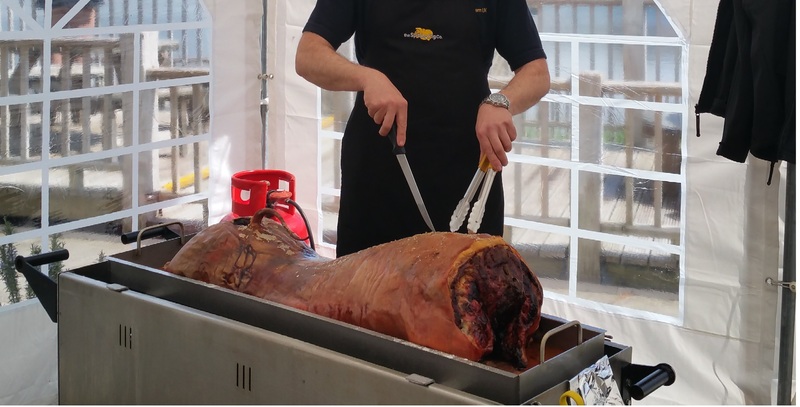 The day was a slow leisurely serve for Hog Roast Borwick, giving us ample time to chat to the guests and again we were highly complimented from the lodge owners and the village management so we left a happy and contented crowd to enjoy the rest their day. 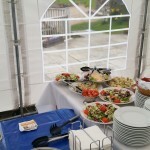 Hog roast Wasdale- Great demand!